One of my friends needed a some kind of protection for her flute. 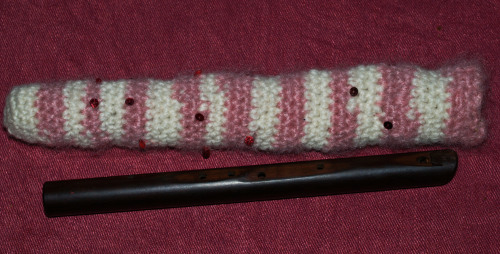 She decided to crochet a bag for the flute because it is easy and cheap, and it gives the flute a very personal look. I love the principle of being somewhat self helped. If I should need something like a cooking stick it is so nice to be able to make it yourself instead of having to go to a supermarket buying cooking ware that everyone else has. My goal is to learn more skills that can help me being self helped. Anyone know any good websites where they learn such skills?